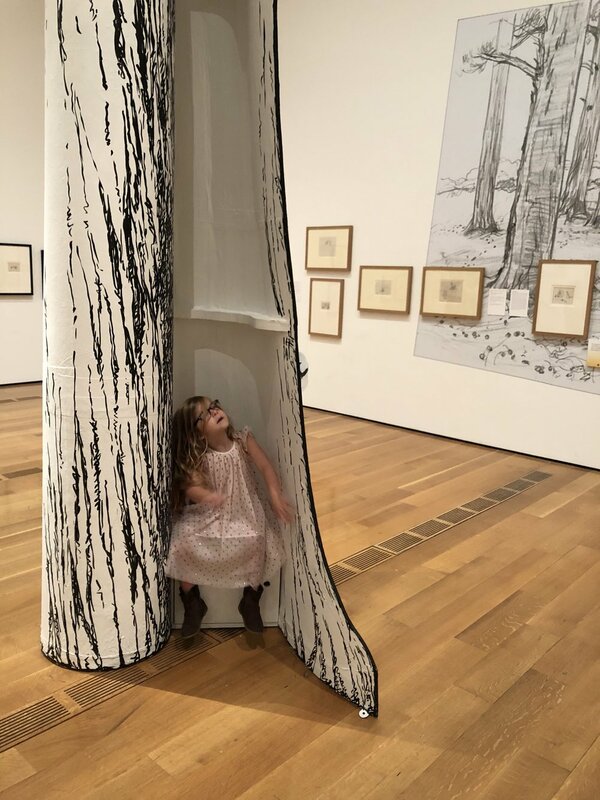 My daughters and I made our first trip to the High Museum of Art, in Midtown Atlanta last week and we want to tell you all about it. Unfortunately, it was a rainy day and in hindsight, we should have postponed our visit so we could explore and enjoy the entire property and all it has to offer. Be that as it may, we went and enjoyed the trip in spite of the rain. I discovered the museum on the Peachtree Road Race run on July 4th, since the race route goes right through Midtown and right by the museum. 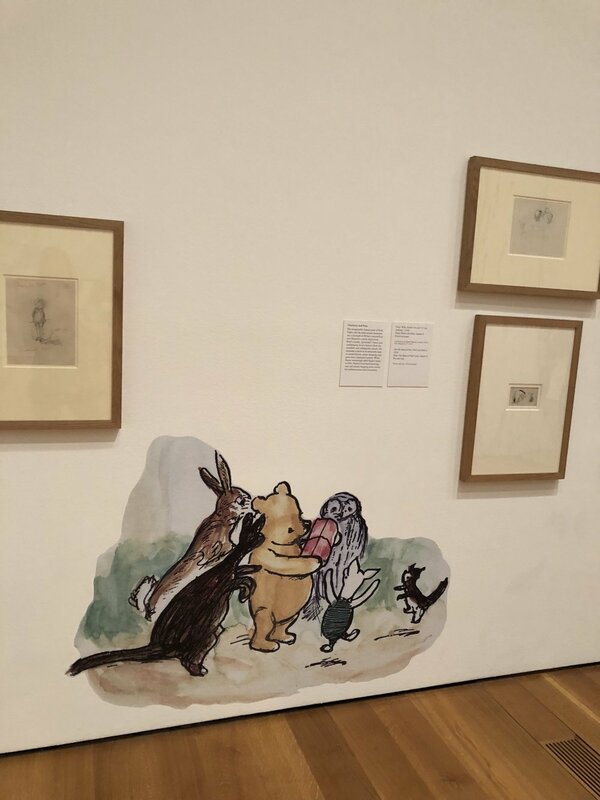 It looked like a cool spot and I knew I wanted to check it out, but sometimes kids and art museums are not a great mix, so when I discovered they have a Winnie the Pooh exhibit right now, I jumped on it! During a late-night Instagram surf, I saw another local blogger post photos of the exhibit and then when I visited the website on Wednesday, night I discovered Thursdays are “Toddler Thursdays.” I took this as a sign and made the decision to bring the girls the next day. We drove down there around 9:30 a.m. and traffic was not bad, but can't say the same for the weather. The museum parking garage and the one next-door were full, so we had to drive around for almost 45 minutes until we found a garage with an open parking space. Next time, I plan on taking the Marta since the station for the museum is right across the street. That's a good way to avoid the hassle of parking. To be honest, I feel like I am one of the few people living outside the city who enjoys taking the Marta! Something I love about traveling in Europe and the northeast are all the trains and subways that you can take to get from town to town, so when I can use public transportation in my own country and city, I'm always up for it. Once we found parking, we got soaking wet trekking in the rain to the High Museum of Art. By the time we got our tickets the kids were hungry, so we ate lunch in the main area next to toddler play. While eating, I discovered the SmArt Art Box kiosk and signed Caroline up for the SmArt box, a free program for kids offered by the Museum. We got a fun plastic box that had an art project inside aimed to educate kids about an artist and his or her work. It also had crayons and a drawing pad. The idea is you come back with your box every month and they give you a new project, free of charge. It is a cool program especially if you plan on visiting monthly, and if you do, make sure to become a member to save some money on entry fees. However, the kiosk is in a public area next to toddler time so, you don’t necessarily have to purchase a ticket to stop by and participate monthly. We went upstairs looking for the Winnie the Pooh exhibit and discovered it wasn’t even in the main building (would have been nice to know when we got our tickets). The girls and I went back out in the rain and headed next door to see the Winnie the Pooh exhibit. They have a covered walkway so we did not get too wet, but of course, there were puddles everywhere, and what kid can avoid jumping in puddles? The exhibit was designed as if you were actually in a storybook. Like many child-themed things, the most annoying part was the children whose parents are oblivious to others, but other than that I thought it was great. We were a tad worn out from the start since we had a soggy and slightly frustrating journey to the exhibit, but overall we loved the High Museum of Art. 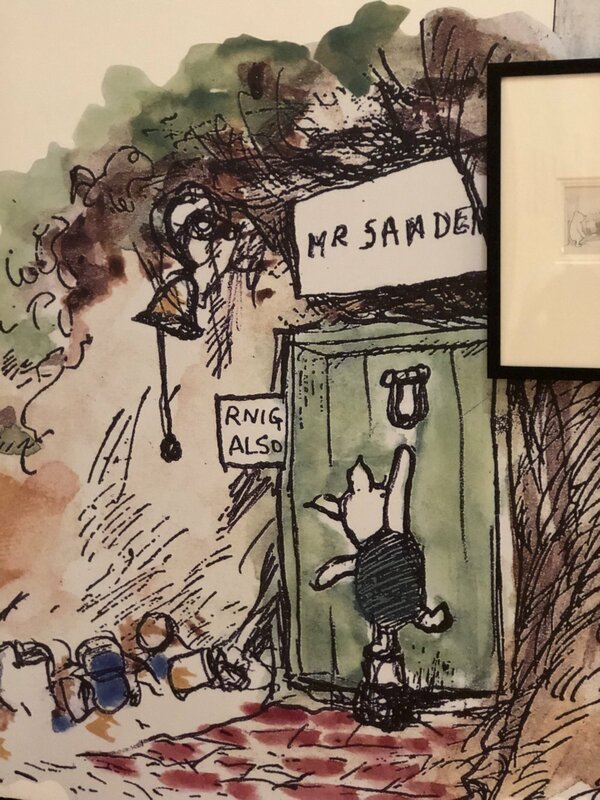 The Pooh exhibit was very clever and interactive; it was also small enough that we got to see it all before toddler meltdowns started. If you are visiting Atlanta or looking for a nice day trip into the city, I highly recommend checking this museum out — with or without kids. The High Museum of Art property is pretty and has all kinds of outdoor sculptures and courtyards to hang out and explore, in addition to the museum itself. 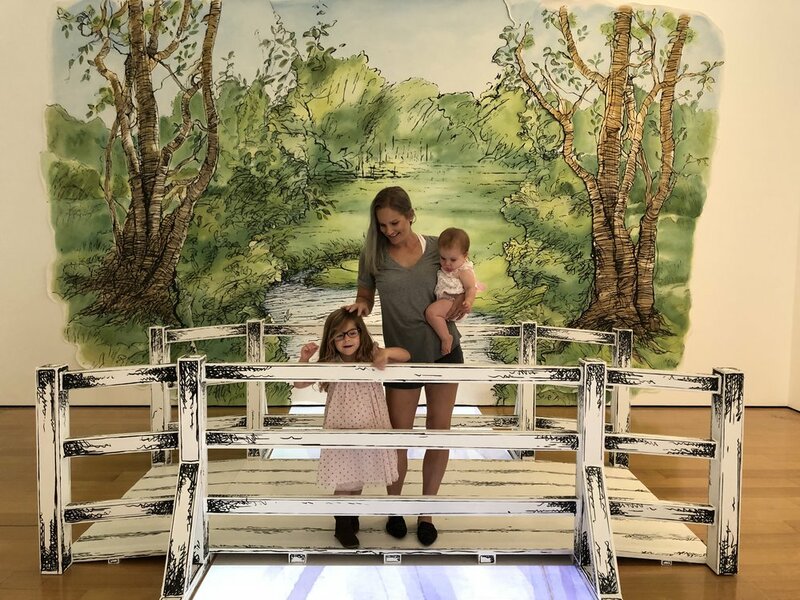 I look forward to going back to the High Museum of Art on a sunny day to enjoy the property and check out more of the exhibits with the girls. Thursdays are set up for kids, so we will likely return then or over a weekend when Jake (aka Daddy) can come with us. My recommendation would be to visit on a weekday in spring or fall so you have good outdoor weather in which to enjoy the property. We can't wait to go back! Our Year of Unlimited Disney!